Have you ever wondered how the Tarot works? I’ve heard many theories about this, and they vary a lot. Perhaps there is a definitive answer, but I’ve yet to hear it. However, does there have to be one true, definitive answer? And is that even possible? I suspect that there are many partially true answers, but we finite humans can’t really grasp the totality of the answer, much like the proverbial blind men examining and explaining what an elephant is. My own theory, which is in a constant state of flux, is very similar. It is that we all have a soul connection to the Divine, which we might call our Higher Self. During a reading, my Higher Self communicates with your Higher Self through the medium of the cards and the process of doing a reading. But how do the right cards come up? We also have an intuitive dictionary of meanings for the cards, which we and the Divine have agreed to use. For example, if we consider the Ten of Wands to mean “burdens” then when a message to that effect is needed, we will get the Ten of Wands in a reading. Of course, we are not always in touch with our intuition due to issues going on in our lives. So sometimes our egos intrude, obscuring the message of the cards and blocking our intuitive communication. This is why we can sometimes do a reading that doesn’t make sense even though the Divine has sent us the right cards. But what are some other theories? Is it just that symbols are triggers for conscious awareness so any cards that come up will do? Is it all about Jung’s theory of synchronicity or collective unconscious? Or does the Divine take a hand in the arrangement of the cards? I have been very curious to find out what other people think, so I recently asked a variety of Tarot experts, each with their own unique perspective, to give their thoughts on this question. I found a great breadth of views on this topic from the responses I got. Some people gave very detailed explanations. Others said something to the effect of, “I don’t know how it works, but it does”, and that answer is valid, but I think that this question is one that many of us are curious about anyway. There is also the broader issue of how the process of doing a reading works, which some respondents addressed. Of course, for each individual person, that process varies. It’s interesting, though, to see how different people think about it: is it psychic, psychological, problem solving, or what? One person I asked to participate said she might have a theory, but that theories can be discarded or proven wrong. But isn’t that the beauty of theories? Presenting them is valuable since they can only be evaluated one way or another if they are put forth and discussed, and during such discussions, theories are valuable food for thought. I also belief that having a concept of how the Tarot works can inform and facilitate our practice of reading the cards. PS: Please be advised as you read these responses: Some of them are more arcane than others. All the theories we have of how the Tarot does what it does strike me as a kind of intellectual wheel-spinning. We may say “synchronicity,” but isn’t that just a word? If we say the “unconscious” knows the answer and guides the shuffle, what exactly is “the unconscious?” It often seems to me it’s a modern word for “gods,” or some specific god. When bigoted people say Satan produces the answer we roll our eyes, but I’m not sure it’s very different—other than the moral assumptions—than saying either that God, or the unconscious, or synchroncity guides the cards. I did once ask the Shining Tribe Tarot, “How does the Tarot work?” Very interesting answers, but I’m afraid it’s too long to reproduce here (you need the pictures too). It’s in my book The Forest of Souls, for anyone who wishes to track it down. Rachel Pollack is the author of many books of fiction and non-fiction, including the Tarot classic, 78 Degrees of Wisdom, and most recently, The New Tarot Handbook. Her website is www.Rachelpollack.com, and you can find her (very intermittent) blog at www.Rachelpollack.wordpress.com. Chariot: The Tarot works because we will it to work. This means using our will “to reach into the river of possibilities” and to explore and interpret the meanings of the cards. She talks about both the role of will in magick and the defining role of the observer in Quantum mechanics. Of course, Rachel puts a lot more into the answer than that, but that’s my quick summarization of it. I suggest you try to get the book (alas, Llewellyn has allowed it to go out of print) and read the entire Tarot reading that Rachel did for this question. To be honest, I don’t know how the Tarot works. The best answer that I’m able to support by reason and practice is that it works by projection. We project our attitudes, feelings, opinions, and prejudices onto the world every day, along with a bit of common sense. We create stories out of these in an effort to find patterns. Likewise, we project our “stuff” onto the cards in ways that make sense to us. We’d like to think that our impressions come from a “higher” or better source and, when in a centered space and thinking of the greatest good for a client, I believe we can offer them the best that common sense and our good will has to offer. It has been shown that when old ways don’t work, there is an advantage in choosing from randomly selected and hitherto unexplored options. It increases the chances of finding workable solutions. We often present a client with such options. When a choice is backed by confidence and a belief that something can be achieved, we maximize our chances of success. A tarot reader supports this in a client through assurances of such success and suggestions for overcoming obstacles. I could say more along these lines, but for me, there is an additional factor. After 47 years reading Tarot, I fairly regularly find that the cards are so perfect and the information so exact, that it blows all my theories out of the water. Something happens, on occasion, that I can only call magic and of which I can only stand in awe. I don’t know how it works, although there are practices, like grounding and deep breathing and calling on my guides, that facilitate these experiences. And there are moments when the two-dimensional images take on additional dimensions and shimmer with energy and vitality. It’s probably in me more than in the cards, but I’ll take whatever I can get in these special times. We live in a culture that adores quantification and categorization. However, the Universe blissfully chooses to only occasionally oblige us with answers. 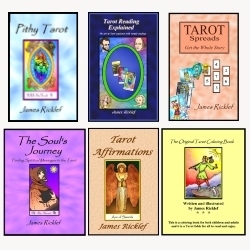 To ask how the Tarot works is not unlike asking how love, the soul, or even electricity works. There are intimations, ideas, theories, but ultimately it remains a mystery. One can speak of hyper-cognition, of processing more—and quicker—than is apparent to the conscious mind. We can speak of the images allowing us to access the huge reservoir of wisdom upon which the conscious mind hovers like a well-manicured garden sitting on an enormous reservoir. We can consider how we observe the tides of emotion, the processing of time, the nuances of behavior—in short, how we listen to the world and our querent talking in a myriad of ways, only a few of which are verbal, and from that we produce a distillation of the past, the present and the yet-to-come. A reader is taking the temperature of the Universe when he or she shuffles the cards, and the laying out of the cards is a way of holding an astrally attuned phone over the universal matrix to snap a picture of the now; then begins a story that explains and illuminates. However, I feel it’s more important that Tarot does work, rather than how it does so. The more one explores the mechanics, the more Chinese boxes get opened and rearranged. However one wishes to explain the mechanics, we will always be very much like the electrician who can make the current work to yield light and power, but cannot explain what electricity is. We flip the switch and trust that revelation will occur. “How does the Tarot work?” I think it is very simple…if everything happens for a reason then the cards too must follow this rule. The tarot ‘works’ because it is in its own way ‘perfect’. Truth reveals itself in perfection…. the ‘truth’ of a perfect rose, or the ‘truth’ of a perfect sunset, or the ‘truth’ of a perfect act of love. The tarot’s truth is structurally based on the perfection of numbers and the mystical mathematics of the Qabalah … Like a macrocosmic tuning fork the Tarot’s mathematical perfection (along with its perfect archetypal images we all seem to be hard-wired with) resonates with our (potentially perfect) microcosmic tuning forks and voila! If we can get our un-tuned personalities out of the way of the microcosmic / macrocosmic tuning fork duet, we’re in business. The next two explanations use comparisons to the Internet. The first, to search engines, and the second, to email. Oddly enough I get this question more often than not. The explanation that generally works is by comparing tarot to the internet. Take for instance, you have a burning question about you, your situation, your life. You bring up your search engine of choice and type in your question. It may take a bit to refine your search, (as there are times the question needs clarity) but eventually the right wording emerges and ‘EUREKA!’ You find the perfect site! There’s a giant green ‘Download’ button for a file with answers to your deepest questions. You download it onto your hard drive and click ‘Open’. That’s when the little pop-up box appears that reads ‘Windows (or whichever) does not have a program to open this file. Would you like to go online and find one?’ So there you are. You have every bit of information you need locked safely inside your hard drive (Self) and no way to access it. Enter Tarot. Tarot will take your information and put it into an easily recognized, familiar story. It will speak the Language of the Soul in images and feelings that, if you are willing to listen, can answer each and every question you had, have or will ever have. And that, my friends, is how Tarot works. I believe that the Tarot is a great and wonderful tool that enables you to gain knowledge, guidance and wisdom from the Great Spirit and the Universe. I also believe that a simple example can explain how it works. I’m sure most of you who are reading this use some form of email program on your computer. I’m also certain most of you exchange messages with a friend who does not live in your immediate area. Now, consider this: as long as you and your friend have a good connection to the Internet and don’t have any filters that would block either of you from sending or receiving messages from each other, you can exchange messages that will appear on your respective computer screens. Further consider that the computer of the person sending the message will actually send a large stream of bits and bytes over the Internet that will then be interpreted by the other person’s email program; the program will then translate those bits and bytes into a (hopefully) meaningful message on that person’s screen. The Tarot works the same way. Think of the Universe as a “Uninet” and think of yourself as the computer. As long as your client has a good (spiritual), non-filtered connection to the “Uninet”, he or she can receive messages from Spirit (who automatically has a good connection) via the Tarot cards. You (the computer) translate the “bits and bytes” you see in the cards into a meaningful message for the client. The slight difference in the case of a Tarot reading is that the cards act both as the “bits and bytes” and (to some extent) as the “display screen”. I believe it’s as simple as that. The next two discussions include explanations of how the “right” cards get dealt. The Tarot has been thought to be a random system. After all you have 78 cards (or 80 cards, as in the Quest Tarot), that are shuffled, spun around and then shuffled again. This orders the cards in what science would say is a random order. If that were true, then there would be no coherent message to get from the cards. And yet I’ve seen, in over 25 years of readings, themes come up again and again for the person I’m reading. These themes are so strong that I can’t ignore the accuracy of the messages coming through the cards. So how can this be? Our subconscious mind is connected to the vast waves of energy, of the earth, of other people, and the universe. When we shuffle the cards our subconscious muscle responses “order” the cards to reflect back to us the message we need to know. The more sincere the effort of asking and shuffling, the more direct the response from “ourselves” or if you wish, “the universe.” We are actually bringing the answer from our own subconscious mind to our conscious mind through the message system, which we call the Tarot. You could say that the Tarot is the world’s first personal computer bringing us new calculations of the future based on our informational input. I believe that everyone has intuition and that the Tarot is a tool for developing that intuition. When we shuffle and lay out the cards, they provide a visual story that we can interpret like a dream and we find that the story that we see in the cards has meaning for the querent. Still, we may ask, how do we get the right series of cards to create our story by simply shuffling the cards? It seems to me, that when we are shuffling we are unconsciously organizing the deck so that our story will emerge when we cut the cards. I have found that the unconscious mind is actually more in control of our behavior throughout the day than the conscious mind. In the unconscious we are in contact with other people and know things about them that we may not be consciously aware of. The cards help bring this information into consciousness. I have also found that the mind is capable of bringing forth information in a way that defies time and space. Because of this, I do not believe that the mind is physical. The brain is only a transmitter for the mind and the mind exists on a nonphysical plane. This is why intuition can exist and why we can use the Tarot as a tool for intuition. That’s it for now. In the second part of this exploration into how the Tarot works, we further consider levels of consciousness and messages from the Divine. As usual, you present an intriguing, insightful, thought provoking post. Bookmarked to read and re-read when I have/make more time. Under tight deadline now, which is why I glean so much from you pithy posts. So much good info here. Thank you for the time to survey/interview these esteemed experienced pros, and to share their wisdom. I don’t understand how anyone can debate the mind is not physical, per Robert M. Place. The best scientists have a vague understanding how the mind works on physical plane, let alone non-physical, metaphysical and spiritual issues. Intuition, plus thought, memory, feelings, dreams, understanding / retaining information, etc are subject to all kinds of theories, debates, etc. Wo/mankind has pondered these topics since we first experienced them, long ago, as an infant or when mankind first appeared. Esp intuition, so impossible to ‘measure’ or explain. Tarot is so popular and beloved because it is one of the most effective tools to the Divine and that which science or logic cannot define, explain nor comfort or inspire us. For those with open minds and hearts! IMHO. Thanks! I hope to hear more of your thoughts about these theories when you have time! Wonderfully interesting, James. Thank you for producing this project, and giving us a chance to see how our master teachers, readers, and artists express their ideas on Tarot Mechanics. That was fun to read, and gave me some new perspectives. Plus, I now know specifically what each person has concluded on the topic. I find this discussion fascinating, although I see little that deals with a physical world (mechanistic) explanation of how the cards work. Some seem to be expressing their personal beliefs via analogy to something else that has a totally unrelated physical mechanism. Basically we all seem to be saying that the cards operate metaphysically through a seemingly random generator (that is falsely so since, by our definitions, there is nothing random in the universe). OTOH, we could say that we humans naturally ascribe meaning to random events (whether this is divinely inspired or not becomes another question). Rollo May sees the giving of meaning as an essential survival mechanism. Thanks, Mary. I’ve really enjoyed seeing the various theories and how they both differ from each other and share similarities. I do suspect, though, that divination can never have a mechanistic explanation… sort of a contradiction in terms, right? That’s right – they’re meta-physical. I think that the Tarot tells us nothing that, on some level, we don’t already know. You bring your own interpretation to the images and see what you need to see. It is a complex and fascinating way of psychoanaysis through symbolism and imagery.Plus its pretty Magical! What a wonderful project, James. So glad you took the time to survey this amazing array of responses. I could see each submissiong growing into a chapter in a book. Love all the analogies and comparisons, the wisdom and the pitfalls. Looking forward to Part 2. My own personal theory is that I am communicating with my future self, a much older and wiser woman (or possibly a dead woman) who has already seen the future and is simply trying to give me helpful clues that I can act on in the present day. The fact is, the cards I draw are so… specific…. and the meanings so… idiosyncratic to me… that only I could have chosen them for me. No one else would have understood the various inside jokes and symbols. This is totally unproven, of course, but it’s what I believe.